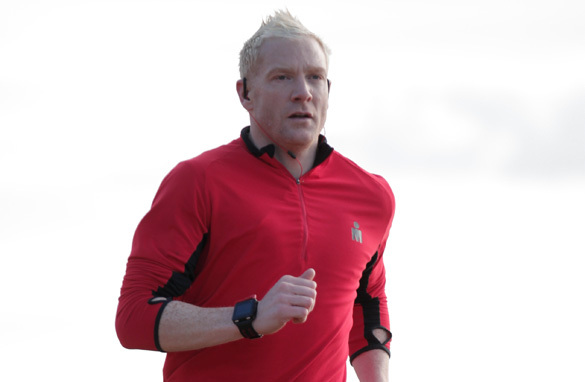 Welsh runner Iwan Thomas won a silver medal for Great Britain in the 4x400 meters relay at the 1996 Atlanta Olympics. An Olympics is an amazing place to be. I call it a bit of a freak show – you sit in the canteen and you could see a seven-foot Chinese girl who is the best volleyball player in the world, and opposite you'd have an American basketball player you might have watched on television when you were growing up. All of a sudden you are not only among other athletes you look up to, but the other sportsmen and women who are the best in their chosen field. It's an amazing who's who of the sporting world when you get to an Olympic village, so you try to take all that in and not get too excited. You don't want to burn up too much nervous energy, you've got to remember why you are there – to compete. Atlanta in 1996 was great for me - a lot of people say it was one of the worst Olympics there has ever been in terms of organization but I didn't see it like that, I saw it in terms of being a young lad fresh out of university and coming away with a silver medal in the 4×400 meters relay for Great Britain. One of the big things I remember was being thrust into the limelight. I remember my first live TV interview after a heat in the individual 400 meters, it was myself and Roger Black (who also won silver in that event) and we were doing it down the line back to the UK. Instead of looking into camera, as Roger did because he's a professional, I spent the whole interview looking at the monitor by my feet that showed my reflection. At the end of it Roger said to me, "The whole interview all people could see was the top of your head!" At an Olympics, you haven't got your home comforts. You might be sharing with an athlete who snores - simple things like that - but you've got to keep your focus. There are the external pressures of friends and family – everyone wants a piece of you, but you've got to be selfish and switch your phone off, tell your mum and dad and your friends to leave you for two weeks. You've got to realize why you are there. You've trained all year for the Olympics and you've got that small window of opportunity to get everything right. You’ve got to try to put everything negative out of your mind. It was amazing to get a silver medal in Atlanta. The proudest moment for me was seeing my mum and dad on my lap of honor. I had arranged to meet them after every heat of the 400 meters but kept missing them, then out of 110,000 people in the crowd I spotted them on my lap of honor. It was the first time I'd seen them during the Games and it was a really nice to share that moment with them. The Olympics went in a flash for me, I broke through and it all happened really quickly. At the time I thought, "I'm going to do better next time around" but as it happened I had a lot of injuries. My advice is to seize the moment. Don't think, "I'm 21, I've got loads of Olympics ahead" – you might not have. You've got to grasp that opportunity and savor the moment. Sydney was a bad experience after having had a fantastic 1998 when I became European and Commonwealth champion. Then I had a complete year off in 1999 with an injury and I couldn't get back in shape for the 2000 Olympics. I dropped out of the 400m and did the relay, but the team wasn't as good as it had been four years earlier. It's horrible when you go to a major championships and know you are not in good shape and you've got to try to perform. It was quite hard to watch my teammates and think that four years previously myself and Roger were competing for medals in the final. The worst place for an athlete who is not 100% fit is watching – it is horrible. The amount of pressure you put on yourself is what counts. I'm very jealous that I’m not 10 years younger and still competing, because I think if a British athlete can't raise their game in a home Olympics in front of a home crowd, then they are never going to do it. I think it'll be an amazing atmosphere in London and the home athletes are very fortunate. They must grasp that opportunity because having the Games in London is truly once in a lifetime stuff. When your name is read out on the blocks the crowd are going to go crazy, and that can only be a good thing for an athlete. Two things happen under pressure: you either raise your game and perform the best you've ever done, or you crumble. If an athlete crumbles I will feel sorry for them but they shouldn't – they train all-year-round for that one window of opportunity. When you go to the Olympics, you're a perfectionist. When I finished second in 1996 people thought it was amazing because I had just come out of university, but I was devastated. I thought, "It doesn’t matter – I’ll be better by Sydney." The silver medal was great, but it wasn't gold. Now as I get older and look back on it I'm really proud of my medal, of all of my medals. I know how much blood, sweat and tears have gone into winning them. Thank Mr. Thomas for revealing story. Only those who actually compete Olympics know how arduous it is for athletes to crest their shape smack on such a narrow window, once in four years. You never know prospectively when your prime of career comes ,only can find it retrospectively.